Atrani beach is a beach in Atrani on the Amalfi Coast in south Italy. 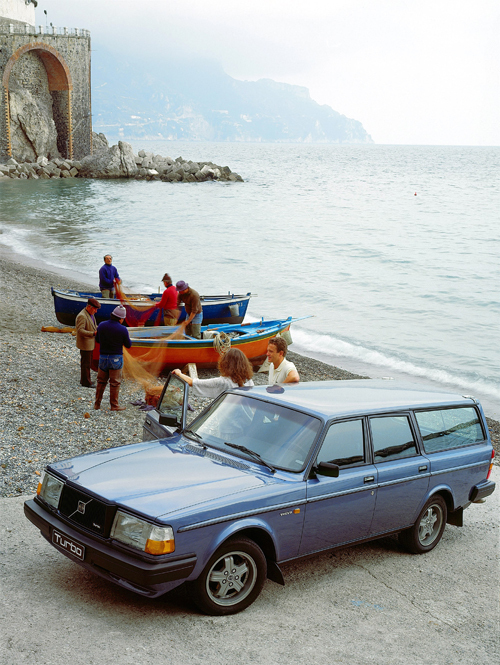 Atrani beach is a popular beach amongst families with small children. A day on the beach belonging to the smallest town in the whole of Italy is also an excellent opportunity to visit the historic center of Atrani, which is one of the most fascinating on the whole of the Amalfi Coast. The beach is located directly opposite the town and is divided into two parts by the estuary of the Dragone River (often completely dry in the summer). Only part of the sandy coastline is free and the majority is occupied by bathing establishments which charge for the use of sun beds and beach umbrellas. Atrani is a city and comune on the Amalfi Coast in the province of Salerno in the Campania region of south-western Italy. 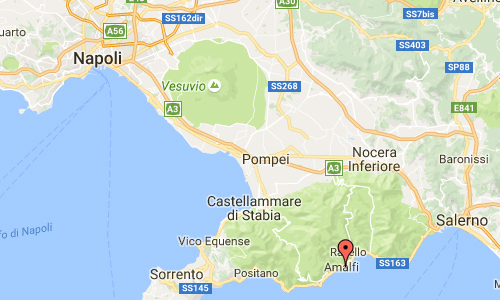 It is located to the east of Amalfi, several minutes drive down the coast. 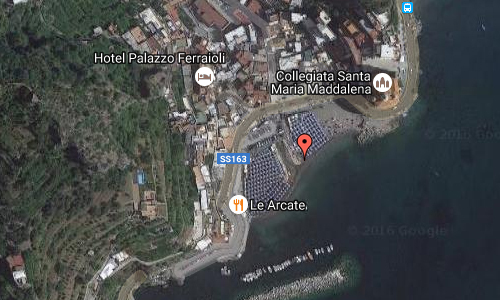 Atrani has a surface area 0.12 km2 making it the smallest community in all of Italy. The town is located between the Civita Hill and Aureo Hill. Atrani is along the valley of the river Dragone, named for a legend saying there once was a terrible dragon that would breathe fire and would hide himself there. Because of the beauty of its alley, gardens, squares, buildings, characteristic “scalinatelle” (stairs) and for its overall atmosphere, Atrani has been used as a set for film commercials. 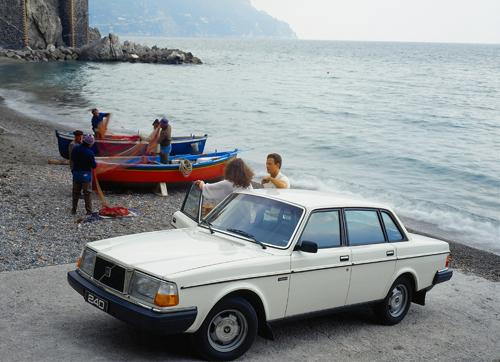 In 2012 it was used as the backdrop for a Fiat commercial. Though it is part of the Amalfi Coast, it is the only town along the coast to preserve intact its antique, traditional characteristics. The initial houses face the beach directly. They are grouped around the square and move around the church of San Salvatore and the marble fountain before going up towards the valley and climbing along the rocky mountain and crossing the gardens and the lemon fields. 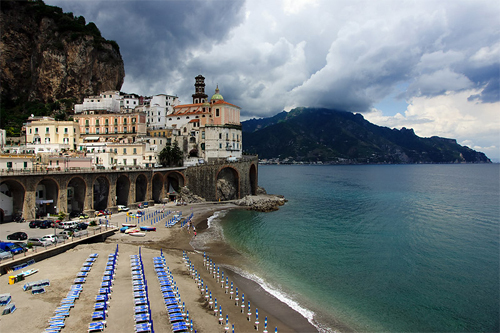 Atrani is isolated from automobile traffic because it is protected by its antique houses with flowered balconies. 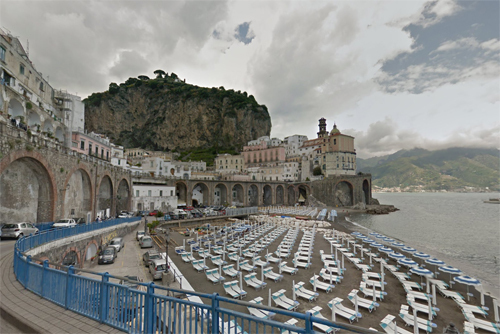 The central square of Atrani leads directly to the beach and the sea by crossing an antique passageway created to save boats from sea storms. More information at en.wikipedia.org and www.positano.com.